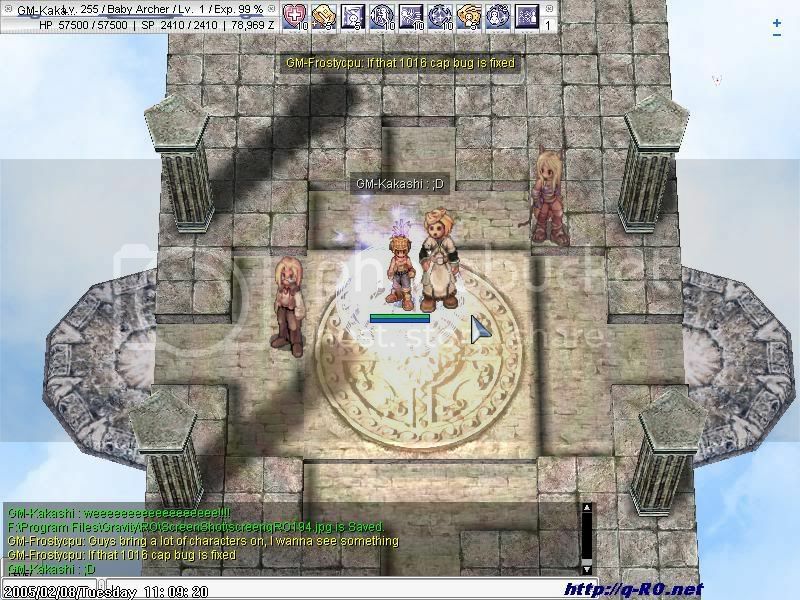 ~The qRO Helping Guide~ Hello and welcome to the Quality Ragnarok Online Helping Guide! Your one-stop page for all your guide needs! Because this guide is pretty long, to find something faster you just click the section ( above here ) you want to see and it jumps to that section. I'm writing this guide to cleanup the forums mainly, secondly to help the people faster because they now have to search in 1 guide. This guide isn't made by me alone, the biggest part is from other members. 10. Do be very nice to the community. This is the only rule that isn't "do not" so please follow it. This is a very clear and specific set of definitions for kill stealing. If there is ever any dispute ingame about whether someone stole a kill or not, this is the only source that should be referenced, not your personal opinion or whatnot. Most of it is derived from logic and courtesy, but some of them may be a surprise to you when you are jailed for kill stealing, so read them now and remember them. 1. Ask them politely to stop. None of this "OMGEH YOU *****ing STOLE MY KILL" stuff is allowed here. If you do that, you will be disrespecting another player and can also be jailed. 3. Post a new thread in the bug/bots forum (a subsection of the support forum) and describe the situation that occured, and include your screenshots. 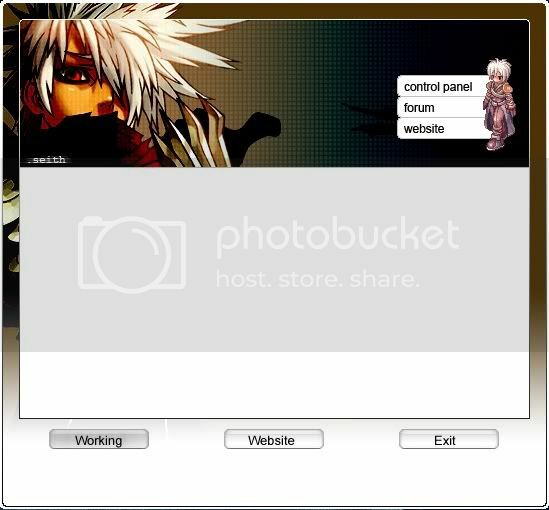 If you need a website to host your screenshots, go to www.imageshack.us to upload them. It is a completely free service. Note: If you ask them to stop kill stealing and they do not respond, it is possible that they are using a bot. If you suspect so, keep asking them if they are a bot until they respond. If they still do not respond and just keep walking around, then take screenshots that include you asking "are you a bot" multiple times. $a: If player A is running around and gathering a mob of monsters, then player B can intercede at any moment, regardless if player A declares he is going to use an area of effect skill/spell. $b: If player A has gathered a mob and is hitting ANY of them, then the entire mob belongs to player A and player B can not intercede without permission upon any of the monsters. $a: If player A has cast a spell that targets one monster and player B starts attacking it while player A is still casting, then player B is kill stealing. $b: If player A has cast an area of effect skill, then player B can kill any monsters inside the area as long as player A is still casting. $c: If $b is in effect: player B attacked a monster within the area of player A's AoE spell but failed to kill it before player A finished casting his AoE spell, then both players A and B are free to finish off the monster. $e: If player A is hitting a monster and player B casts an area of effect spell on another monster that happens to be close to player A's monster, then it is not kill stealing if the spell hits player A's monster too. $b: If player A is taking damage from a monster and not fighting back, while player B is hitting that monster, then player C should not intercede on the assumption that player A is tanking for player B. $c: If multiple players are in a party, then none of the other Articles apply, regardless of whether the party setting is each-take or equal-share. $e: If player A, B, and C (or more) are all attacking one non-MVP monster, then it can be assumed that they are in the same party and player D can not interfere unless he is invited to. $f: Healbombing is considered an attack and the attacked monster will belong to the person who healbombed it. Hit-and-run healbombing is also protected from KSing until it is obvious the attacker is fleeing. Then it can be assumed that he/she has run out of SP or can not afford to use all of it or whatever, and another player can intervene. $b: Summoning a monster DOES NOT MEAN THAT IT IS YOURS. You must hit it first and then it will be under protection of the ks rules (unless it is an MVP). Thus if you want to use DBs for yourself, summon only one monster at a time. $a: If player A and B are archer-based, and there is a monster being attacked by both players but player A is outside of player B's view and player B is outside of player A's view, then it is forgivable on both sides. $b: If player A is using the extended zoom feature to KS and player B notices that player A is clearly using it, then player A is kill stealing and can be penalized. $c: If player A uses a trap of any kind on a monster, it is considered an attack and the monster belongs to player A unless player A allows another player to intervene. Guideline the First: Know when to report. A single instance of killstealing is not enough to warrant a report. GMs do not have time to bother with every little KS that goes on. If they did, they would quickly become frustrated and give up on the game. ONLY REPORT REPEATED AND EXTREMELY RUDE KS INFRACTIONS. If someone is KSing a miniboss you''re fighting, or they follow you around and KS constantly, or you see them KSing random people indiscriminately and they are all complaining, THEN YOU HAVE A CASE. Guideline the Second: One Screenshot is Usually Not Enough. One screenshot tends to prove next to nothing. You will need about 4-6 screenies over a period of time to prove that this person is a constant-KSing thorn in your side. Guideline the Third: Show The Name of the Offender! Before you take that almighty screenie, get your cursor on the offender to SHOW HIS NAME. It makes busting the perp all the easier, because nobody can accuse you of lying about the perpetrator to get someone you hate busted. It also helps with those who can not remember spellings well - this way you''re SURE to have the correct spelling of the perp''s name displayed. Guideline the Fourth: Get a witness! I can say with confidence that 70% of KS cases happen in crowded areas like Hidden Dungeon, Amatsu Dungeon, Payon Dungeon, Glast Heim Graveyard, Geffen Dungeon and Clock Tower. Usually, there''s more than a few witnesses - just ask around to see if anyone''s registered and would vouch for your story on the cretin here on the forums. Guideline the Fifth: Find a Clear Case. Just showing the perp and you hitting the same monster is NOT enough. Try to show the guy moving in, attacking your kill, and leaving. Try to catch as much dialogue that is going on. If you are a mage and some archer is KSing things you cast on, show the perp shooting from behind your firewall while you''re casting, or moving in on your target while you are casting BEFORE the attack. If you''''re a knight and someone else muscles in on your kill, show them moving in and attacking. If you''re an archer and have a legit claim to a kill, but keep getting nailed by a repeated KSer, show yourself hitting the kill before he starts attacking. In short, give as many screenies as you possibly can get, and be as clear as you can to why that screenie shows a definite instance of killstealing. Register an account if you haven't done so already. The server admins must activate your account manually so they can make sure your IP isn't the same as a cheater or otherwise bad player. This shouldn't take a long time, but you might not receive a notification e-mail. To check just try to login to the game. RO is just a horribly programmed piece of software. As such, the seemingly simple process of installing the game confuses lots of people and gives them problems after they think they've installed it correctly. Also, qRO doesn't run like other private servers. How? Currently RO has 2 popular ways of storing data. One is by creating a data folder that contains sprite files, map files, and other game information. The other way is by creating .grf files that are large, single files that clump lots of data together. qRO uses the .grf files because you ony need about 3 or 4 of them instead of hundreds of different, strangely named files. After updating the qRO-play file you can play. Download KRO/Sakray from a private mirror or the official KRO website. If you have played on a private server before this one, you do not have to download a new copy. However, if you do have a copy of kRO/Sakray from a previous private server, then you MUST delete your data folder RIGHT NOW or your game will be full of errors. You can download kRO/Sakray from many private mirrors (just go onto google and search for it) or you can try to download it from the official kRO website. If you want to download it from the kRO website, you must change your proxy settings to a South Korean one because the website only lets you download the file if you are in South Korea. -Copy 80 and paste it for 'Port' -Now you can download Sakray here. -Now you can download kRO here. -Click on 'OK' -Now you can download Sakray here. Don't forget to undo these actions if you want to have normal internet again!!! Isn't there the one that work? Go here. The page you need is the one with the south Korea Proxy''s and only the South-Korean!! Don't use any download accelerators, it will make your files corrupt!! Remember, the official KRO/Sakray download was meant to be from South Korea so don't be surprised if your download speed is VERY SLOW. If you want to avoid this, try to find an alternate link to the files. And lastly, there are MANY versions of KRO/Sakray. Before downloading one from a website that is not the official KRO website, MAKE SURE IT IS NEWER THAN 0615. These 4 numbers indicate the date it was released, so 0615 means it was released from June 15th 2004. If you have an 0615 copy, then you will not be able to patch your game properly. Any other copy that is newer than 0615 can be patched to the latest version. 2. Install both KRO and Sakray into the same folder. Install KRO first and Sakray second. NOTE: In order to download these files, you must right-click these links and then click "save target as." Then when the box pops up, put it on your desktop or somewhere convenient that you can find fast. Once you download those two files, put them both into the same folder as your Ragnarok.exe and Sakray.exe. Included will be a file called patch2.txt, when you are asked to replace an existing patch2.txt, click yes. Then double click on Patchup.exe and Sakup.exe to correctly download the patches you originally failed to get. 4. Download the qRO patches that are available on the main page. 5. Extract the qRO patches to your KRO/Sakray folder. If you are asked to replace existing files, click yes. Your KRO/Sakray is now modified to be able to connect to the qRO server. Q: What is the url for the qRO main page? Q: I'm downloading qRO/kRO/iRO/Sakray and it's going sooooo slowly!!! What can I do? A: You can try to download the file from somewhere else, ask a friend to send it to you, get a better internet connection, or just be patient. Q: I registered for an account and installed everything right but I can't login? A: When you register for an account on the register page, you have to wait for an admin to activate it. You will know when it's been activated because you can login to the game. If you can't, then WAIT until you can. Do not try to register more accounts, it won't do anything. That, or the server might be restarting or temporarily down when you tried to login. Q: When I downloaded the qRO client files (not the full install one), I got a bunch of different .exe files that are like qro-1.exe, qro-2.exe, and stuff like that. What's the difference? A: Each *exe file is called a client executable. They all have slightly different features, like being able to zoom in and out more, seeing different formats of player names, and other small things. There are more than 1 because we want you to experiment and try different ones to see which one you like the most. If you are having errors, it might be because you are using a faulty client executable. In that case, scroll down to the client executables section of this thread. Client executables are the *exe files you click to play the game. The reason there are more than one of them is because they all play the game a little differently. If you are having any problems with your game or just want to try a newer client exe, then here are two I strongly recommend. *IMPORTANT NOTE: This client is made specifically for kRO and sakray. I also forgot to mention that make sure you are using RAG_SETUP1021 AND SAK_SETUP1021 OR ABOVE!!!!. Any rag and sakray setup below 1021 will not fully function with this client. - Solves most of unexpecting crashes and sprite errors. 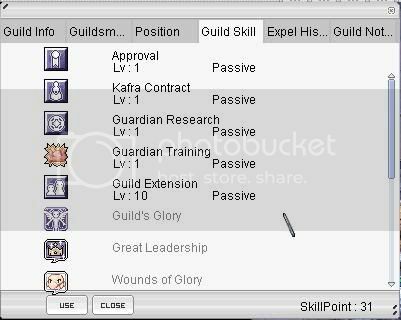 - New guild skills including Guild's Glory for embelms. - New FMA Transmutation Circle Aura! - Complete item description including new hats and loot. - A remade and enhanced qRO auto patcher. 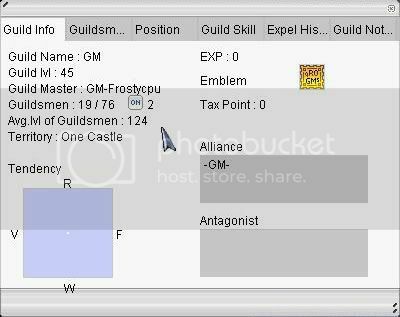 - Unbolded text with party and guild names. - No more "Do you agree?" screen when logging in. Installation: MAKE SURE YOU BACK UP YOUR FILES!!! seith and Kakashi are not responsible for your screwed up game. - use winrar to extract the files into your RO folder. 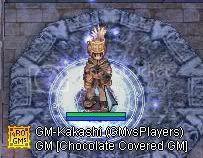 - open up qRO-Kakashi for the auto patcher to play and have fun smile.gif . 1. Create a filecloud account. 2. Add Kouki as your friend. 2. Enter my library or cl!ck one of the links to download..
Kakashi's Client (Lite Version) D/L THIS ONE IF YOU''RE HAVING PROBLEMS (especially iRO and 0615 users). Also note that this one does not solve map crashes.. The point is to try different ones and see which one you like. 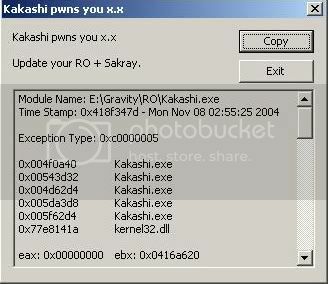 If you have kRO I HIGHLY recommend Kakashi's Client, any problems with this client, contact Kakashi or seith. You get a sprite error whenever you are in the game and you are trying to view a file that your computer doesn't know how to display. A common sprite error is the valkyrie angel, which is the NPC in every town that heals you for free. If you are walking toward the main center of a town and suddenly your game closes and you get an error message, then it might be because you are close enough to be able to see the valkyrie angel but your computer doesn't have the valkyrie angel file so it can't run properly. The first and foremost thing you should do to try to fix a sprite error is update your RO. 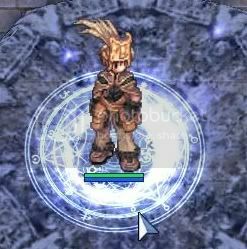 If you used the kRO or iRO method to install the game, then go into your RO folder and double click Ragnarok.exe and then Sakray.exe. This will open up the automatic patcher program. It might take a long time to download all the patches depending on how fast your internet connection is. However, if you are trying to patch the game and after a while you just get an error like "failed to get x file" then you should download these two files. Extract the contents of those two files into your RO folder and overwrite any existing copies that you have. Then start the patchup and sakup programs. These will bypass erroneous files that you can't download using the normal patcher. If you have a fully patched game and you STILL have errors, then go into your RO folder and see if you have a folder called "data." If you do, then DELETE IT RIGHT NOW!!! Don't ask questions, just do it. If you have a fully patched game and have no data folder, then the problem lies in your client exe. Scroll up to the client executable section of this thread to download a recent one AND also make sure you have the right contents in your data.ini file. If you still have a sprite error after all that, then you just installed incorrectly. So please read over this guide at least once to make sure you didn't miss an important detail. If you still have a sprite error, you might be part of the 1% that just has a messed up computer error that isn't really related to RO. In that case, feel free to make a new thread in the support forums or PM me or another support forum helper. Q: WTF?! I logged into my character and all my items and equips are gone!! A: This is just a loading glitch. Logout of your account and then log back in. You should now have all the stuff back. If not, try one more time. If you STILL are missing your stuff, then it's possible that your account has been hacked. If so, click here to report it. Q: I'm trying to get a guild emblem, but whenever I try to click the edit button, it doesn't work! Q: I'm trying to access the guild menu by pressing Alt+G but nothing shows up! A: This means it's just lag. Log off your character and then come back on and it should work. If not, you just have to wait for another minute and try again. A: This is a list of some bugged skills and what's wrong with them. A lvl 1 cloak works like a lvl 10 cloak. Spiral pierce should ignore both armor and vit def. Tiger Knuckle Fist should be able to be used outside of combos. Beserk doesn't heal your hp back to full. You can chasewalk, but cannot un-chasewalk (you'll stay invisible forever unless you log out/get hurt). Q: Wow, why does RO run so crappily or look so crappy on my comp? A: Other than the fact that RO is a pretty old game, RO might look bad just because it doesn't come with certain graphics features. To tweak your RO to run/look slightly better, click here for Xabora's tweaking guide. If you get these messages, then just remember this thread and don't go crazy over it. If this is the first server you've played on that has a ton of people constantly playing, then you better get used to it (or subscribe to a better ISP so you can connect and get a precious slot). The number of players really isn't that important. I've connected to the server even when there are 1400 players online, and my 56k buddies can't connect when theres anything above 400. Therefore, save some money and pay for a better connection or learn to be patient. And this is just a personal thing, but if I see any more threads that ask questions that are answered here. Notice: If you can't log on to qRO AT ALL (and I mean at any time of the day no matter how many times you try), it's probably because your IP-range was banned. The banned range is 202.156. *, so if you fall under that range, then you can go ahead and try to hunt down the fellow that was giving the server a bunch of problems. 1. "Failed to Connect To Server"
- The server is under a lot of stress and your internet connection isn't fast enough to be able to access qRO before it times out. - The next time you want to exit qRO, make sure you press ESC and then exit to windows. If you use alt+f4 or ctrl+alt+del to exit, you will skip the logoff process and the server might think you're still connected for a few minutes. 4. Disconnected Happens when the server restarts Why? Happens for the same reason as #4. Bottom Line: Often times you just can't do anything about it besides wait. And more often the server admins can't do anything about it besides wait also. Don't complain. If you have a problem, go find another server. Do this, remove all the \ in the links and it will work fine again. If you want to be helped fast you can ask on the IRC channel of qRO. What is mIRC, it's an Internet Relay Chat, you can chat with a lot of people at the same time. Q: What is the qRO channel? A: This is the channel --> irc://irc.us.gamesurge.net:6667/qro. - You have to select a server, you need the gamesurge server, after you done that make a nickname. You see a window now with the connencting message. To enter the qRO channel type /join #qro. - You can go to the main page and click qRO on IRC, your IRC program will open automaticly and connect to the qRO server.